Cergy-Pontoise will be locked in a battle for fourth place. Whilst they are equal with the Bordeaux Bombers on points, they trial on percentage and need wins to claim their finals place. The Bayonne Toreadors have games in hand also – all potentially winnable – and could also be an outside chance to challenge. 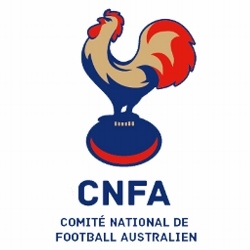 The Paris Cockatoos already have three wins, and are a chance to win in their three remaining games, almost guaranteeing third place and potentially the minor premiership pending other results. The Cockerels are the other big contender and have two huge games against the Lions and Coyotes before finals. 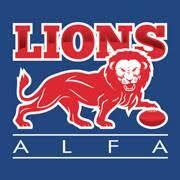 It makes for a fascinating run to the finals, but for this weekend, it is the ALFA Lions with the biggest smiles on their faces as they have achieved their first goal and seek more.